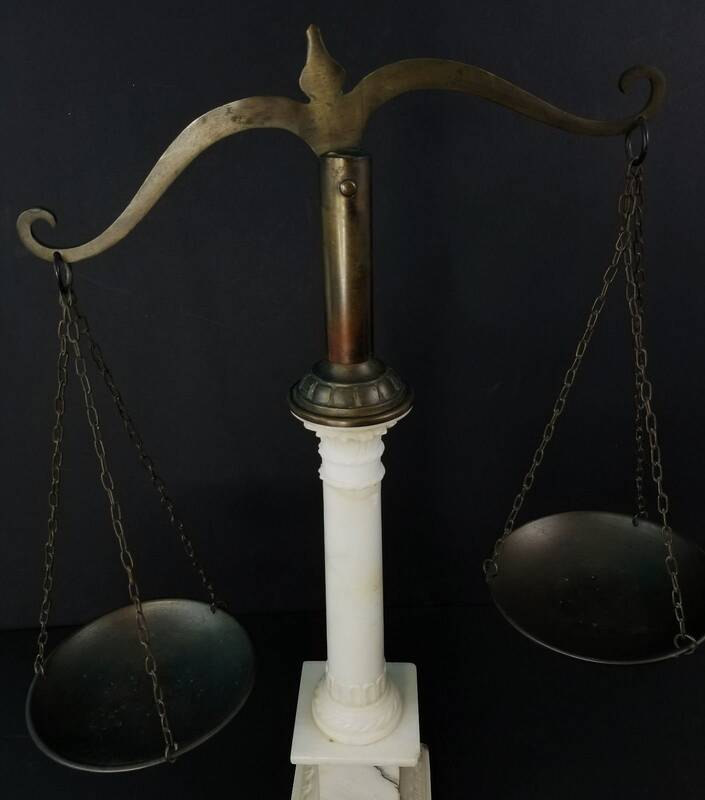 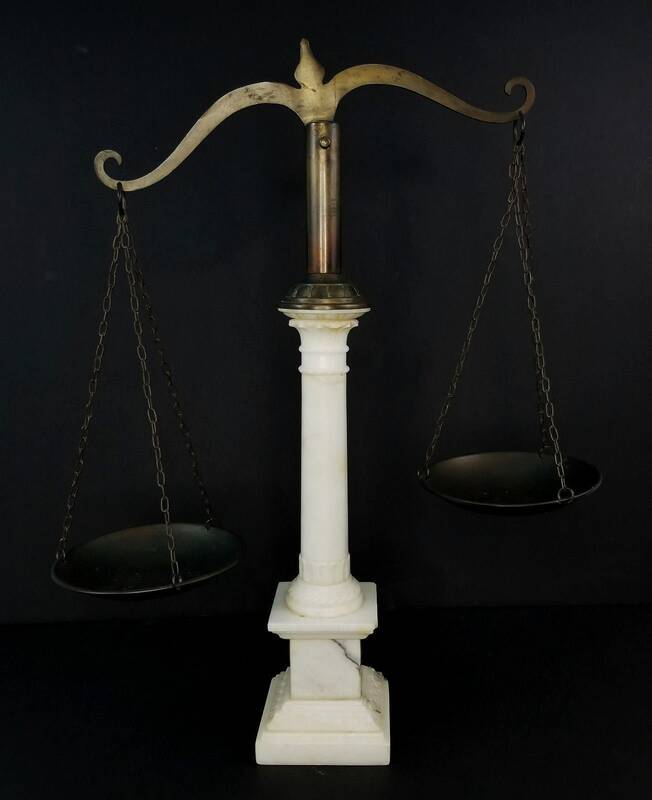 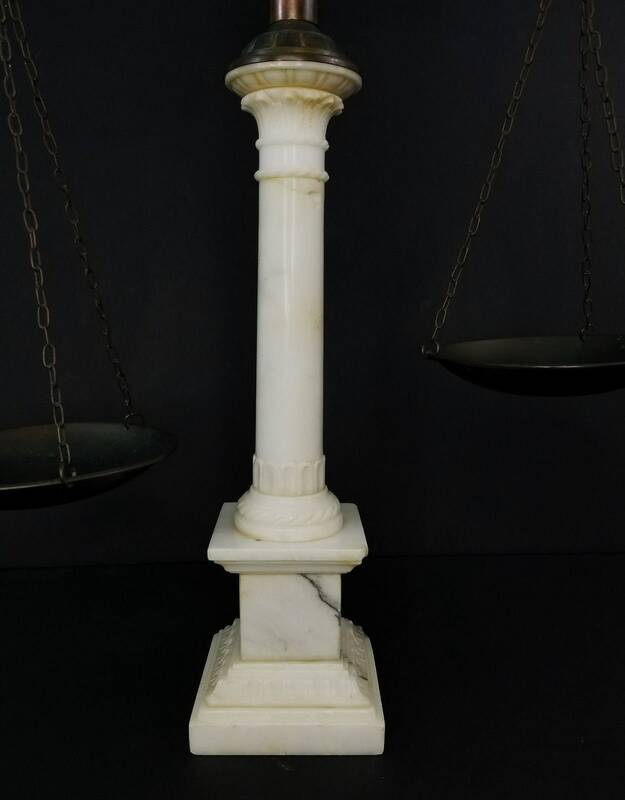 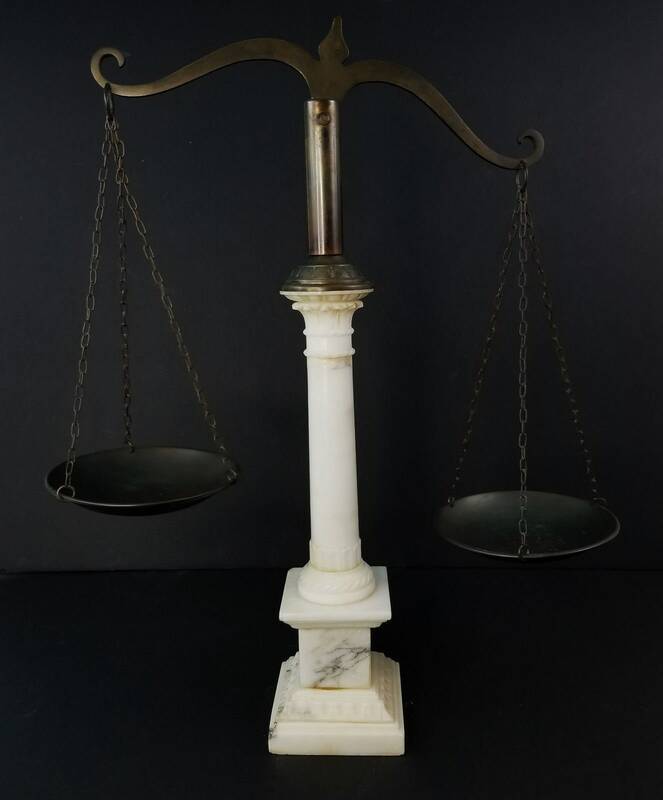 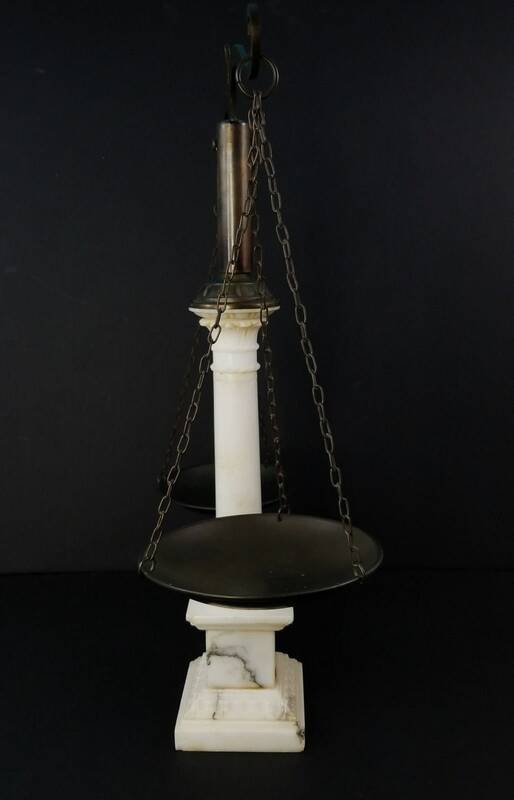 This vintage brass and white marble scales of justice is great for your home or office! 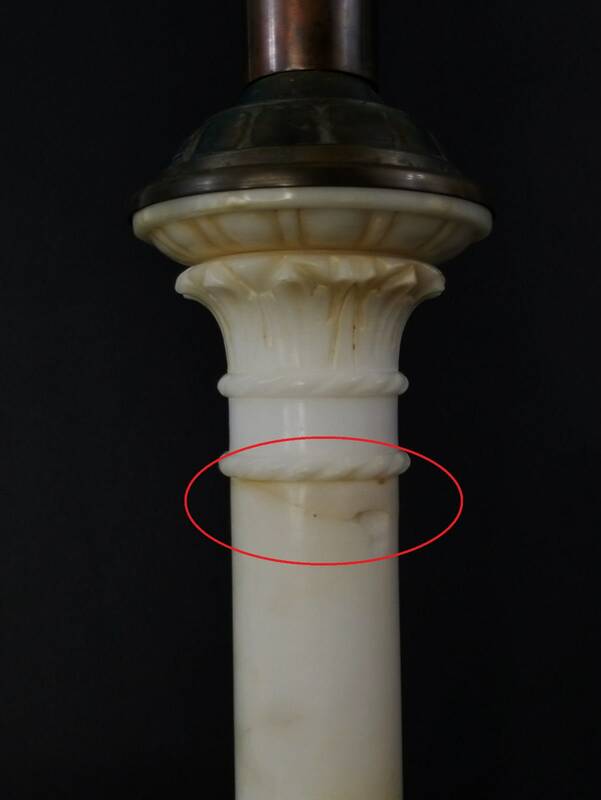 The white marble pillar was broken and repaired near the top of the shaft in the past and the base has several chips on the corners. 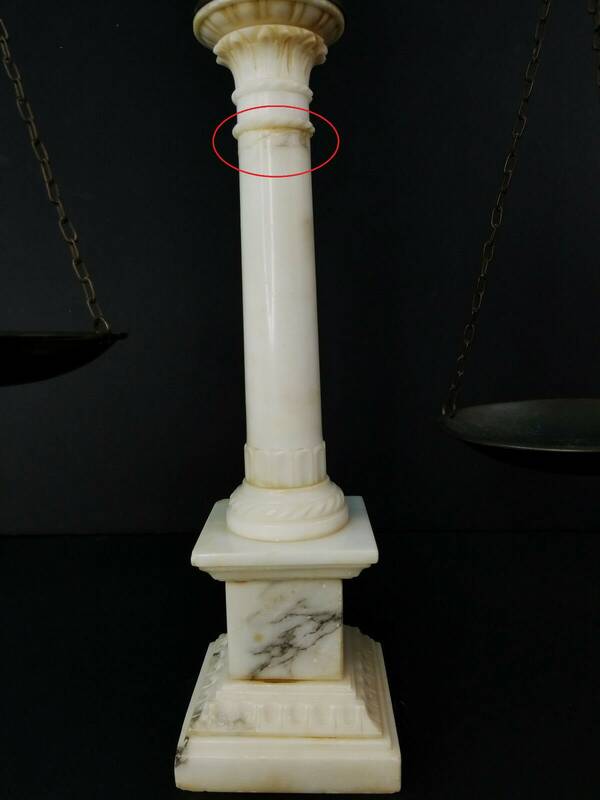 The stone is brittle from age. 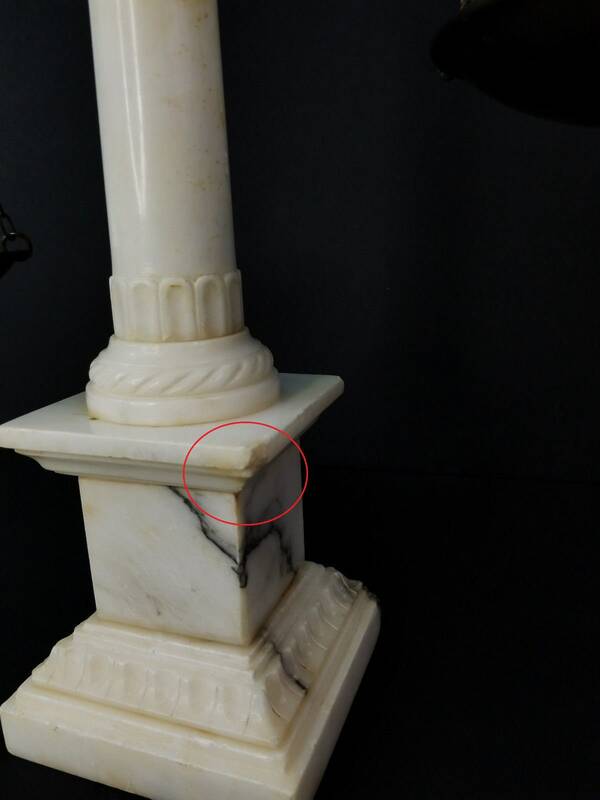 Please see all photos for details.